McClennen recently wrote the piece “Why is Donna Brazile still emailing me? 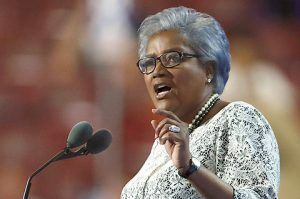 The tone-deaf DNC has no credibility,” which states: “To refresh our collective memory, Brazile is a perfect example of the DNC’s insider clique and its complete disrespect for the democratic process. When WikiLeaks dumped a bunch of emails from DNC insiders it revealed that Brazile had passed on questions to the Hillary Clinton campaign to give her an edge in debates against Bernie Sanders during the presidential primaries. “When the emails were first dumped, Brazile denied she had cheated. “Stop and think about that for a moment, because that sort of bald-faced lie is the exact thing that the DNC is excited to discover in the Trump team’s stories about their ties to Russia.